Jesse Vaknin (left) and teammate Alec Goodman in motion during a game at a tournament in Delaware. Photo Courtesy of Jesse Vaknin. Jesse Vaknin has been playing ultimate Frisbee since freshman year of high school, but he’s not doing it just to polish his skills. Vaknin, a sophomore government and politics major, is a player on this university’s B team for the ultimate disc club. He first discovered his interest in ultimate Frisbee as a freshman in high school, when he got together with friends to play pick-up games. Vaknin used these casual games to develop a skill set suitable for college competition. “I was always the one trying to learn new throws, developing new skills and sort of trying to bring a lot of cool stuff to the table when we’d play,” he said. Vaknin said that playing ultimate Frisbee at the collegiate level has improved his ability to play on a team, strategize and carry out necessary physical training. As opposed to this university’s A team, which holds tryouts and has limited spots, the B team emphasizes player development and is open to players of all skill levels. “It’s a really good environment for people that want to learn how to play, but also for people who want to build on their already existing skills,” he added. Vaknin’s time on the team has helped him develop new skills and forge new friendships. Alec Goodman, a sophomore economics major, met Vaknin during their freshman year in an oral communications class and have been friends and teammates since last semester. The largest and most competitive tournament that Vaknin’s team attends is a two-day regional competition in which they play against some of the best college teams on the East Coast. Last year, this university’s team entered regionals as an underdog competitor and came close to being eliminated in the first round. Against expectations, the Terps advanced to the semi-final round. Though the Terps fell to the University of North Carolina in the final game, Vaknin said it was a defining moment for himself, his teammates and the program. 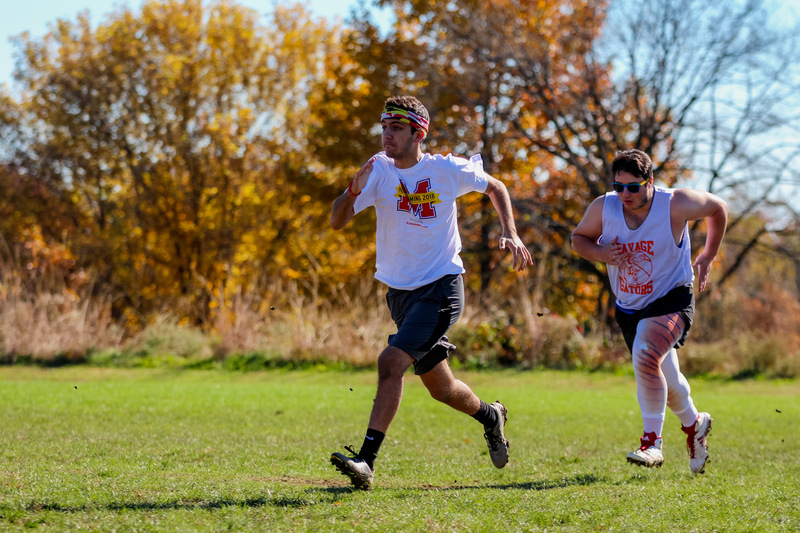 Seth Gleaner, a junior journalism major, who serves as their team captain, noted that their second place finish was especially impressive because regionals are the highest level of competition for ultimate Frisbee B teams. No Replies to "Ultimate Frisbee player Jesse Vaknin shares his love for the game and his team"